Samuel finished the 2018 regular season with 39 catches on 65 targets for 494 yards and five touchdowns in 13 games played. He also rushed eight times for 84 yards and two more scores. Samuel caught seven of 13 targets for 41 yards during Sunday's 24-10 loss to the Falcons. Analysis: Samuel tied for the team lead in targets while finishing with a new career high in catches. Unfortunately, most of his looks came around the line of scrimmage and he finished averaging just 5.9 yards per catch. Samuel has enjoyed an uptick in production down the stretch, averaging 4.5 catches and 56.5 receiving yards per game. Those numbers only really give him fantasy value in deeper leagues and daily contests, which should remain the case in next week's season finale against the Saints. 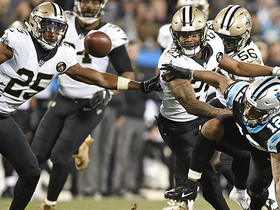 Samuel caught one of four targets for 17 yards and rushed twice for eight yards in Monday night's 12-9 loss to the Saints. Samuel caught four of eight targets for a team-leading 80 yards in Sunday's 26-20 loss to the Browns. Analysis: Samuel's coming into his own late in his second season, with 168 receiving yards over the past two weeks. While he doesn't have a touchdown over this strong recent stretch, Samuel does have six total scores (four receiving, two rushing) this season. 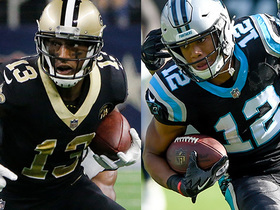 Deep-league owners could do much worse than Samuel with Carolina set to host the Saints in Week 15. Samuel caught six of 11 targets for 88 yards and carried one time for an additional eight yards during Sunday's 24-17 loss to the Buccaneers. Analysis: Samuel led the team in targets and catches while notching a new career high in receiving yards. 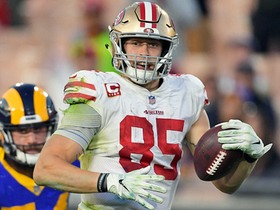 He recorded a long gain of 31 yards and made several catches around the line of scrimmage that could have turned into bigger gains. 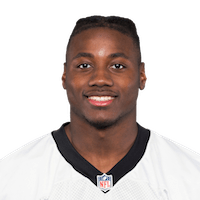 Samuel shined as the team lost Greg Olsen (foot) and eased Devin Funchess (back) back into the lineup, and he now has a touchdown or 96 scrimmage yards in four of his last five games. He'll hope to continue his recent success in Week 14 against the Browns. 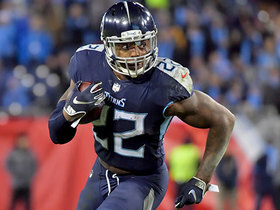 Samuel (hamstring) was a full participant in Thursday's practice, David Newton of ESPN.com reports. Samuel was a non-participant at Wednesday's practice due to a hamstring injury, Max Henson of the Panthers' official site reports. Analysis: Despite a relative lack of touches -- 24 in eight games -- Samuel has reached the end zone six times this season. 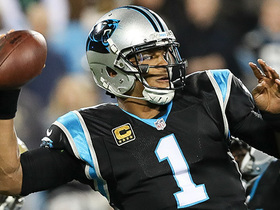 Injuries have plagued him from time to time during the first two years of his career, though, so it behooves the Panthers to proceed with caution with Samuel's health. With a matchup against the sieve-like Buccaneers defense on tap Sunday, his status will be worth watching as the weekend draws closer. Samuel nabbed both of his targets for 17 yards and a touchdown and gained 25 yards on his lone carry in Sunday's 30-27 loss to the Seahawks. Samuel brought in five of seven targets for 55 yards and a touchdown in the Panthers' 20-19 loss to the Lions on Sunday. Samuel caught all four of his targets for 18 yards in Week 10's loss to the Steelers. He also rushed once for one yard and lost a fumble on a kickoff return. Analysis: Samuel, like most of his offensive teammates outside of Christian McCaffrey, couldn't get much going on the night. 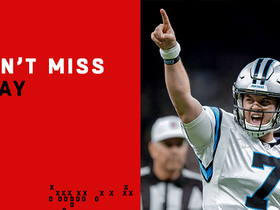 However, he compounded Carolina's issues by fumbling on a return to end the third quarter. 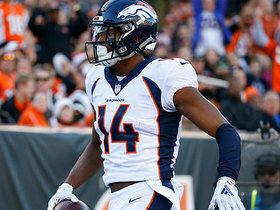 That hurt a performance that otherwise featured a season-high four receptions, leaving Samuel in search of a more complete showing in Week 11 versus the Lions. Samuel secured two of four targets for 25 yards and a touchdown and added a 33-yard rushing score in a 42-28 win over the Buccaneers on Sunday. 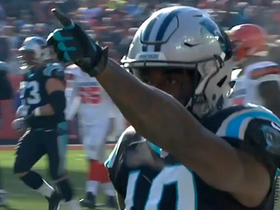 Here is a look at the best catches from around the NFL in Week 17. 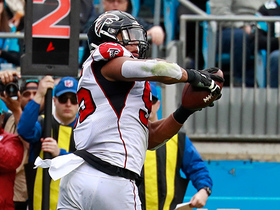 Carolina Panthers quarterback Taylor Heinicke's pass was bobbled from an Atlanta Falcons defender and caught by defensive lineman Jack Crawford. Carolina Panthers quarterback Cam Newton passes 17 yards to wide receiver Curtis Samuel. The "NFL Fantasy Live" crew discusses players on their playoff shopping list that they want to grab off the waiver wire for the fantasy playoffs. Carolina Panthers quarterback Cam Newton passes to wide receiver Curtis Samuel for 25 yards. 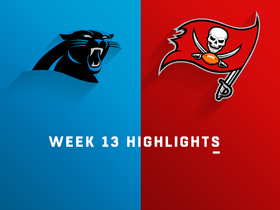 Watch complete highlights from the Week 13 matchup between the Carolina Panthers and Tampa Bay Buccaneers.